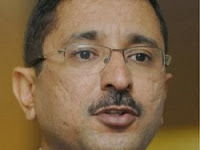 Private sector insurance player Future Generali India Life Insurance Company Ltd has announced that it has appointed Mr. Munish Sharda as the new Managing Director & Chief Executive Officer of the company. Mr. Sharda succeeded Mr. K.G. Krishnamoorthy Rao. On his appointment, Generali Asia Regional Officer Mr. Sergio Di Caro said, “Sharda's in-depth understanding of the financial services industry, coupled with his leadership qualities will strongly contribute to further extending Future Generali's success in India." Prior to this appointment, Mr. Sharda has worked for several organisations and has huge experience of about 20 years. Mr. Sharda has worked for Aviva Life Insurance Company as Director (Sales & Distribution) for past five years and Citibank India for 10 years in its consumer lending business. Mr. Sharda holds a Masters in Business Administration (PGDM) from one of country's premier institutions the Indian Institute of Management (IIM), Lucknow and a Bachelors Degree in Mechanical Engineering from Punjab Engineering College, Chandigarh. Future Generali Life is a joint venture between India's Future Group and Italy's Generali Group.